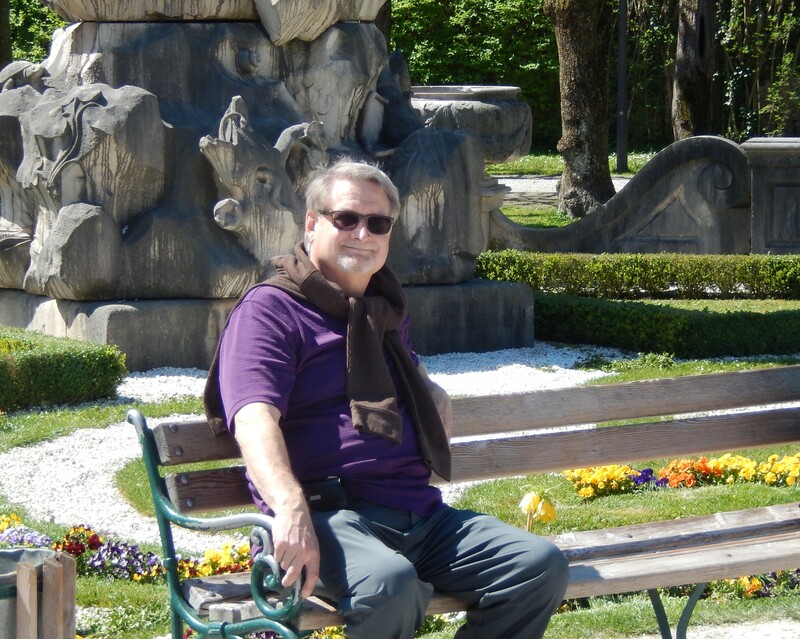 My husband Bob was very disappointed that I neglected to share a few facts and pictures from our Salzburg trip, so this post is for Bob, but I hope you read it, too. I’ll start with his favorite discovery. 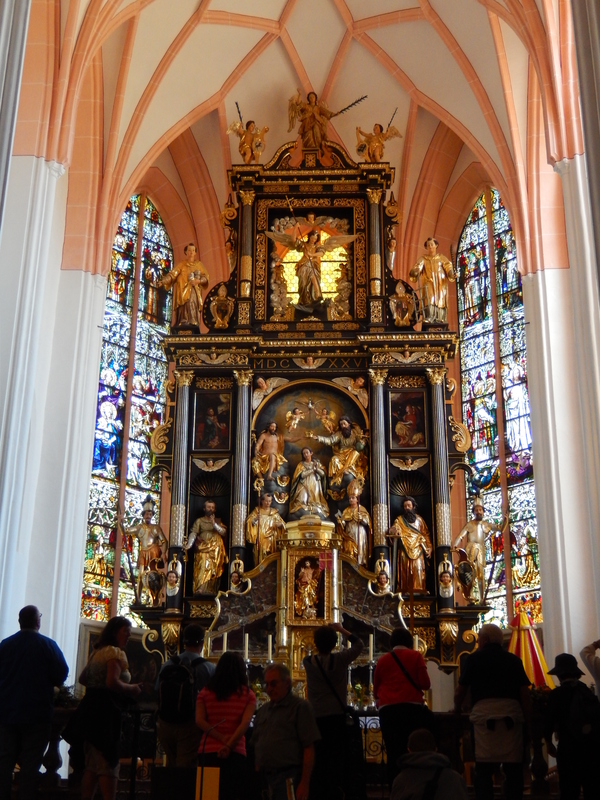 The church where the wedding from The Sound of Music was portrayed was Basilica St. Michael in the Mondsee Lake District. Only the inside of the church was used. I’ll give you three shots of the church altar area, each getting closer. Notice the area behind the candles. What do you see? This is a little closer up. What do you see behind the candles? If you said human skeletons, you’d be right. 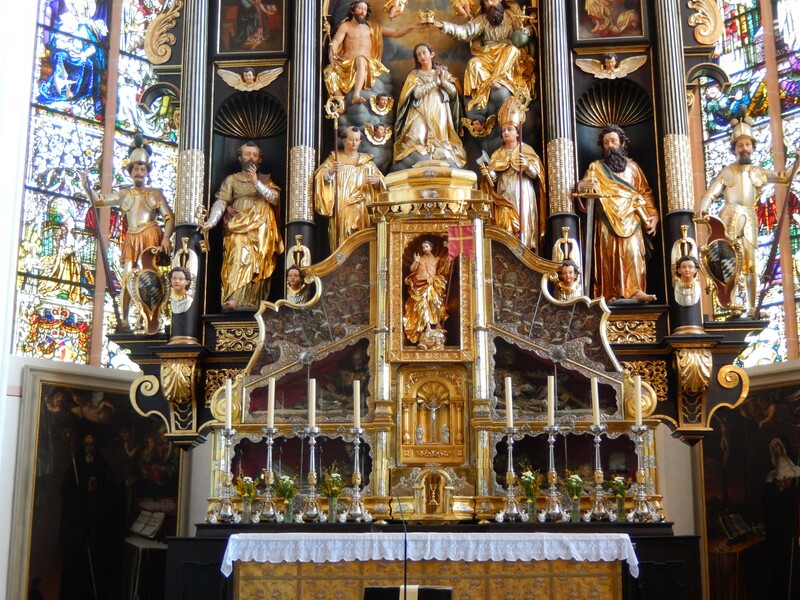 There are two on each side of the altar and they seem to be dressed for church. While getting the site ready for the foundation, four skeletons were uncovered. To my knowledge, nobody knows who these people were, but it was decided that they should be included inside of the church. They are preserved behind glass. We don’t know who came up with that plan, but it sure is different. 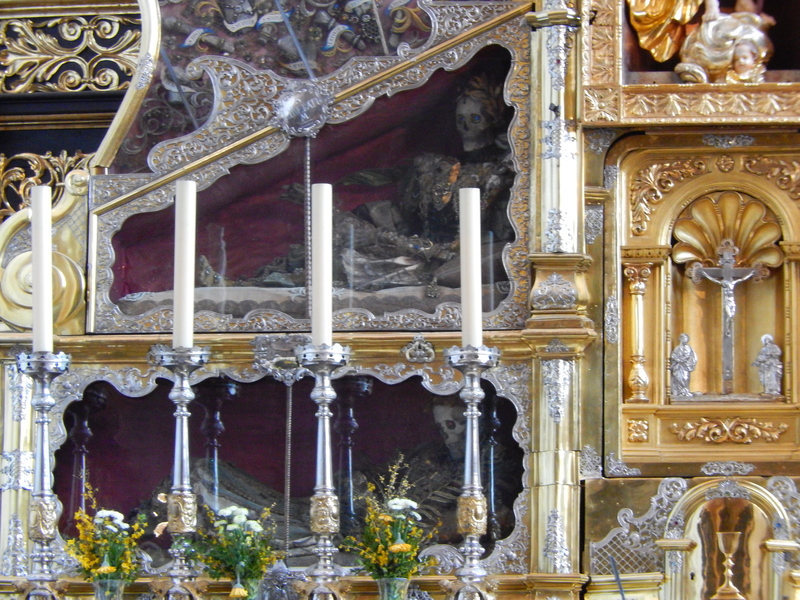 We have seen thumbs of saints and heads of saints preserved and on display in duomos (cathedrals) in Italy, so this is not as strange as you might think. Oh, it’s strange, just not as much as you might think. I also neglected to give you a shot of what the inside of our hotel looked like in Salzburg. This is very different from its American counterparts, but I like it. I like the idea of each of us having our own blanket as I am usually cold and Bob is always on the warm side. Actually, maybe that’s the problem – I need to be on the warm side. 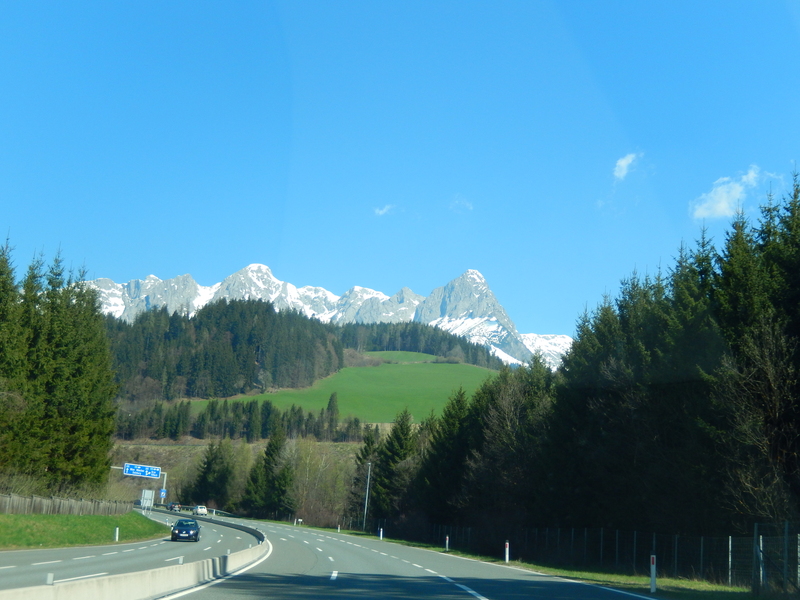 And I forgot to show you the view as we traveled to our hotel. Our mouths were open in awe during our entire trip. 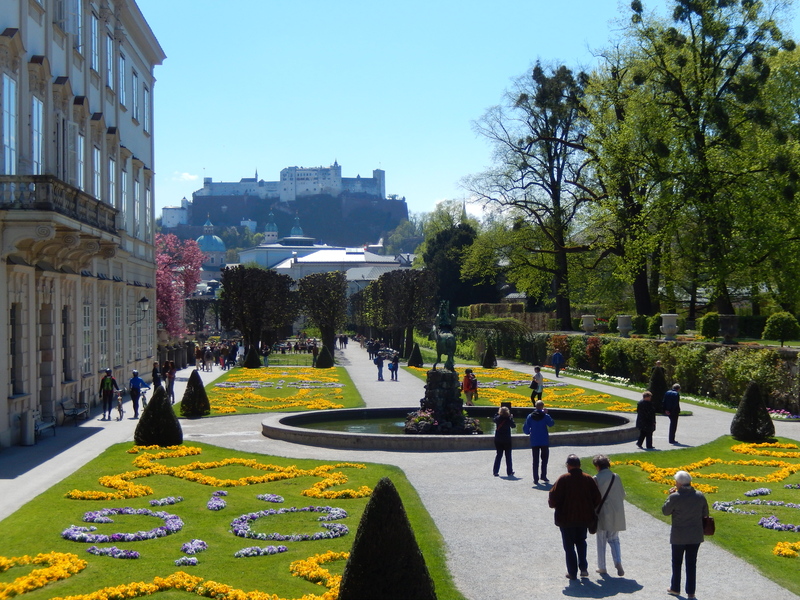 You really need to go to Mirabell Gardens if you’re in Salzburg. It’s breath-taking. When we were at dinner with our new friend, my sister mentioned that she was coming down with a head cold. Robert said he had just the thing for that. 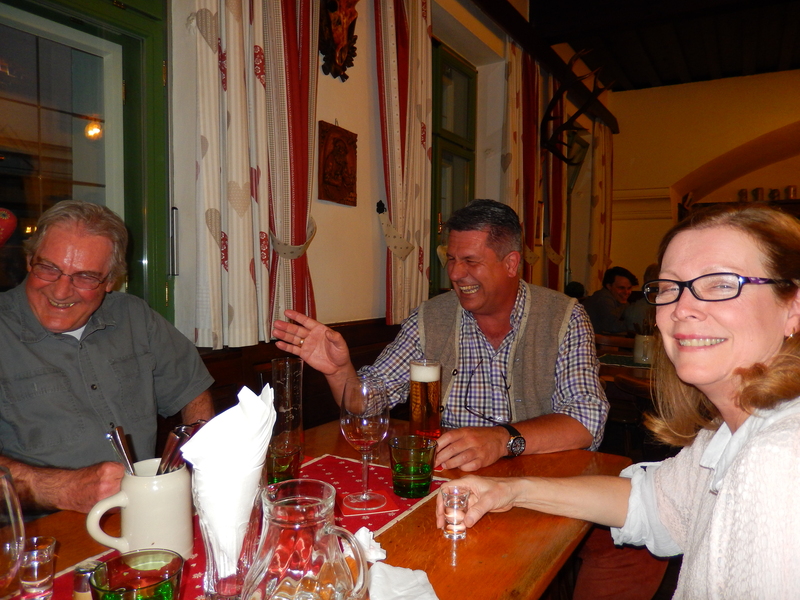 He served up a round of schnapps for us, on the house. He said it would help clear her head. She downed it before he could warn her it was a little strong. This picture is our reaction to my sister who came out of her seat when the smack from the schnapps hit her. And, by the way, it did its job of clearing her head! Hope you enjoyed a little more of Salzburg and hope even more you can visit there yourself sometime. This is Post #12 of the Ultimate Blog Challenge to post each day in April.